This one's for the avid gamers and anime collectors! 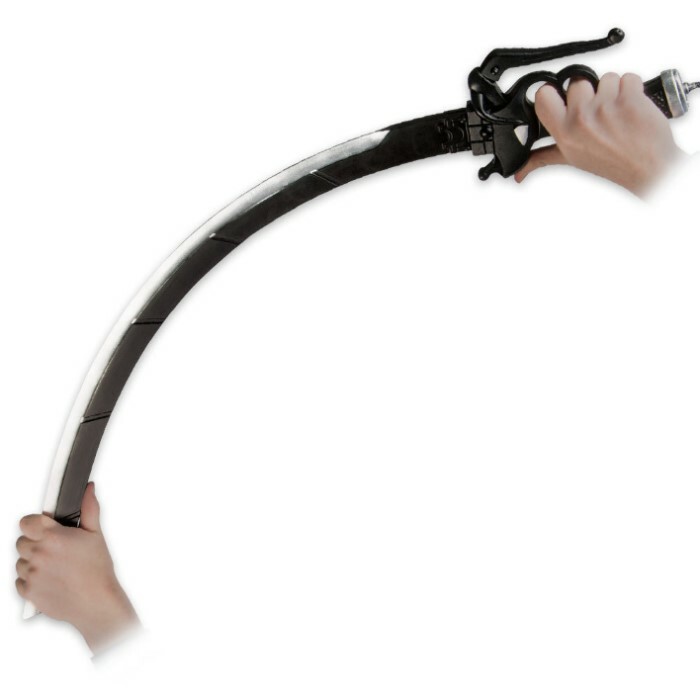 Own this top-quality polyurethane Attack on Titan Special Operations sword today. This quality sword features a black and silver two-tone blade. 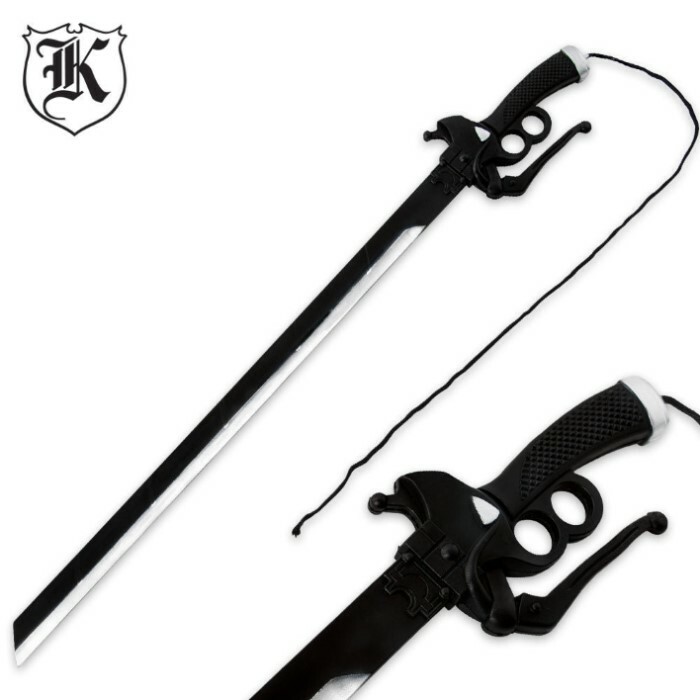 Made to look just like the real deal steel sword, it features polyurethane construction. Think of a foam sword with a little extra oomph behind it. Just a heads up the entire blade is stainless silver, no black on it for %100 accuracy.